There are various forms of business organization in which the business entity can be organized, managed and operated. Sole Proprietorship is one of the oldest and easiest forms, which is still prevalent in the world. In this type of business, only one person owns, manages and controls the business activities. The individual who runs the business is known as a sole proprietor or sole trader. On the contrary, Partnership is that form of business organization two or more individuals come together and agree to share profit and losses of the business, which is carried on by them. The individuals who run the business are called partners. Many people utter confusion regarding these two business forms. In this article excerpt, you can find all the important differences between sole proprietorship and partnership in tabular form. Meaning A type of business oganization, in which only one person is the owner as well as operator of the business is known as Sole Proprietorship. A business form in which two or more persons agree to carry on business and share profits & losses mutually is known as Partnership. Owner Known as sole trader or sole proprietor. Individually known as partners and collectively known as firm. Liability Borne by the proprietor only. Shared by the partners. Secrecy Business secrets are not open to any person except the proprietor. Business secrets are open to each and every partner. Finance Scope for raising capital is limited. Scope for raising capital is comparatively high. Sole Proprietorship, as its name suggests, is a form of business entity in which the business is owned as well as operated by a single person. The alternate name of this business form is sole tradership. The person uses his capital, knowledge, skills and expertise to run a business solely. In addition to this, he has full control over the activities of the business. As this form of business is not a separate legal entity, therefore the business and its owner are inseparable. All the profits earned by the owner go to his pockets and the losses are also borne by him only. This form of business organisation is backed by some advantages, like the creation of sole proprietorship is very simple, minimal record keeping is sufficient, and it does not require, lots of legal formalities to be complied with. Moreover, the sole proprietor also gets the tax benefit, as the tax on his business income is regarded as the personal income of the owner. Besides the above advantages, we cannot ignore the drawbacks associated with this form of activity, i.e. the liabilities of the business are the liabilities of the owner too, and so if he was not able to pay them from business, he has to pay them from them from his personal assets. Furthermore, the creditors can also sue the proprietor for the debts owed by him. There is always an uncertainty regarding the life of business as if the sole proprietor dies or if he became incompetent, then the business will also come to an end. So, there is no surety that how long the business will survive. 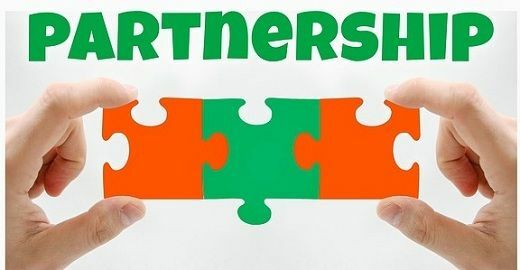 The Partnership is that form of business organisation, in which there are two or more persons engaged together to carry on business by an agreement and decides to share profits & losses in the specified ratio. Members are separately known as partners, but jointly known as firm. The partnership is the unseen legal relationship between the partners of the firm. The firm is the physical form of the partnership, and the name under which the business is carried on is known as Firm name. There can be various types of partners in a partnership firm like an active partner, sleeping partner, nominal partner, incoming partner, outgoing partner, sub partner, partner for profits only. When the business is owned and managed by a single person exclusively, it is known as the sole proprietorship. The partnership is the business form in which the business is carried on by two or more persons and they share profits and losses mutually. Indian Partnership Act 1932 governs the Partnership whereas there is no specific statute for Sole Proprietorship. The owner of sole proprietorship business is known as the proprietor, while the partners are the members and legal owners of the partnership firm. The registration of sole proprietorship business is not necessary, but it is at the discretion of the partners that whether they want to register their firm or not. In Sole Proprietorship the minimum and maximum limit of owners are one. Conversely, in Partnership, there should be at least two partners, and it can exceed up to 100 partners. In Sole Proprietorship the liability is borne by the proprietor only. In contrast to, Partnership where the liability is shared between partners. As there is only one owner, the quick decisions can be taken which is not in the case of a partnership because the mutual decision is taken after discussing with all the partners. There is always an uncertainty regarding the term of the sole proprietorship as it can end up anytime if the owner dies or if he became incompetent to run a business. On the other hand, Partnership can be dissolved at any time, if one of the two partners retires or dies or became insolvent, but if there are more than two partners, it can continue at the discretion of the remaining partners. In sole proprietorship business, secrecy is maintained, as the secrets are not open to any person other than the proprietor. On the contrary, in partnership, business, business secrets are maintained to every partner. The scope of raising finance is high in partnership as compared to sole proprietorship business. We all know that everything has two aspects, so as with the case sole proprietorship and partnership. The former, is very simple to be established while the latter needs the agreement of the two or more persons but if you put it another way then you will see that there are more hand to work, more capital to invest and more knowledge to apply as well as in the absence of one partner the business will not suffer.